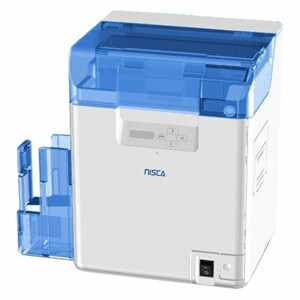 Nisca’s Dual-sided ID card printer features retransfer ID card printing technology that allows you to create secure ID badges in full color, with full bleed images in brilliant true color with the industry’s first 600 dpi resolution! With 5 year printer warranty! Nisca’s PR-C201 dual-sided ID card printer features the industry’s first 600 dpi print resolution as well as retransfer printing technology that allows you to create full color ID badges with full bleed images in brilliant true color. Note: The higher dpi provides incremental detail when printing fine text or lines with the black panel only. For those ID card printing applications that require the highest print resolution possible, the new PR-C201 Nisca ID card printer cannot be beat! 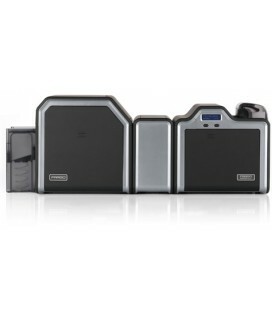 The PR-C201 stands out in an industry of 300 dpi ID card printers, with its revolutionary 600 dpi! The PR-C201 features retransfer ID card printing, a process which uses dye sublimation to print a high-resolution image in reverse directly onto the ID card film base. The ID card printer then thermally transfers the image and film onto the ID card surface through heat and pressure, thermally bonding it to the card surface for a more secure ID card. The new PR-C201 offers industry-leading 24-bit continuous tone single and dual-sided printing, quick change ribbon cassette, USB and Ethernet 10 Base-T, 100 Base-T, 2-year return to depot service printer warranty*, limited lifetime print head warranty*, 600 dpi, 24-bit color and high speed ID card printing of over 160 cards/hour! Comes available with an optional encoder, mag encoder, contact encoder and/or contactless encoder. *Print speed indicates approximate multiple print job print speed and is measured from the time a card feeds into the printer to the time it ejects from the printer. Print speeds do not include encoding time or the time needed for the PC to process the image. Process time is depend on the size of the file, the CPU, the amount of PC memory, the interface (USB) and the amount of resources at the time of the print job. 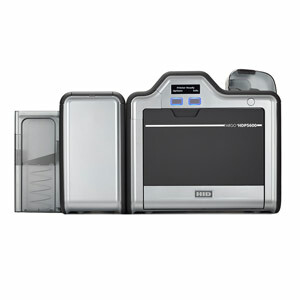 See more Nisca ID card printers with ID SuperShop. 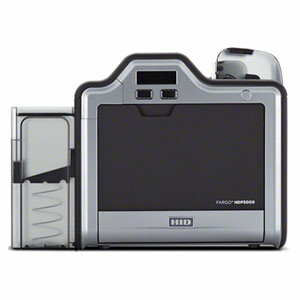 Find more Single Sided ID Card Printers with ID Supershop.